2014 Chaparral 257 SSX!! Less than 80 hours! Comes with 2013 LoadRite trailer! 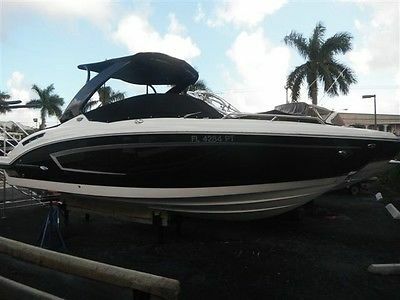 Black Hull, Black arch, vacuflush head system, upgraded stereo with transom controls, trim tabs, transom shower! Please contact me if you have any additional questions!On Aug-02-15 at 07:45:40 PDT, seller added the following information: Also, if you would like to see the survey that was done in december 2014, I have that available. Just message me directly and I can get that to you. VERY CLEAN and GREAT shape 2005 Crownline Cruiser. Boat is a 250CR with a factory installed Kohler Generator (40hrs). 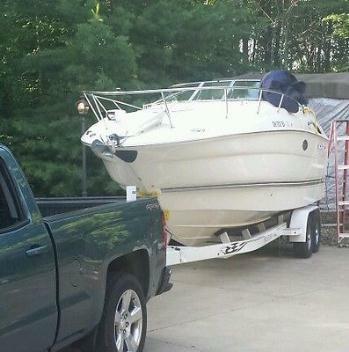 I have only owned to boat for a year. We thought that we might be boaters but do to my work schedule we rarely ever get a chance to take the boat out. It is currently at a slip in Cedar Point Marina, OH. This boat has many factory options. Has factory installed Kohler Generator/ AC / Heat / Stereo / Depth finder / galley / remote front light / Bimini Top enclosure / storage-travel cover / lav. / carpets/ flares / life vests. Brand new 2014 dual axle Aluminum trailer w/brakes on both axles. This boat is a must see. The motor was professionally rebuilt because this TN boat was stored for a while without turning it. The Volvo Penta 5.7L has 320HP and is very strong. The boat can hit 42 on calm water easy. There are many new parts on this boat and motor, batteries (3) / Alternator etc. This boat has been a Freshwater boat. Once you see it you will notice. The bottom has never been painted because it was lifted out of the water after each use. Indoor stored in the winter. The interior is amazing, not tears or rips, not sure if it was ever slept in, it does not appear as though it was (we never have). I have the titles to both boat and trailer. I'm sure that I'm missing some details but dont hesitate to bring your questions. This will be the cleanest 2005 you will find. Please add options to NADA value when computing. 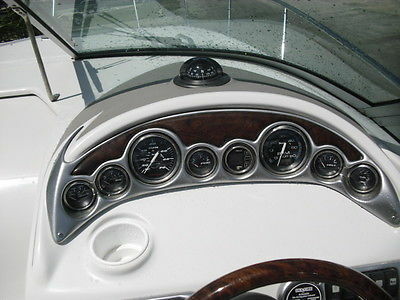 Again, this is a super clean boat. I have many more pics if you would like to see them. Also included are all the factory manuals that I have for this boat. The only thing that I have found that doesnt work is the Microwave. 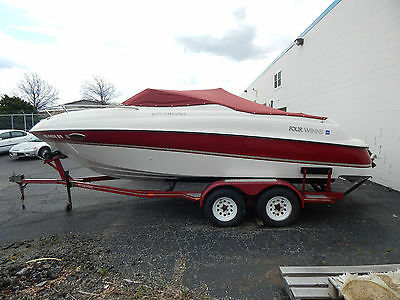 2007 Monterey 250cr custom eagle trailer fresh water only Better than sea ray. 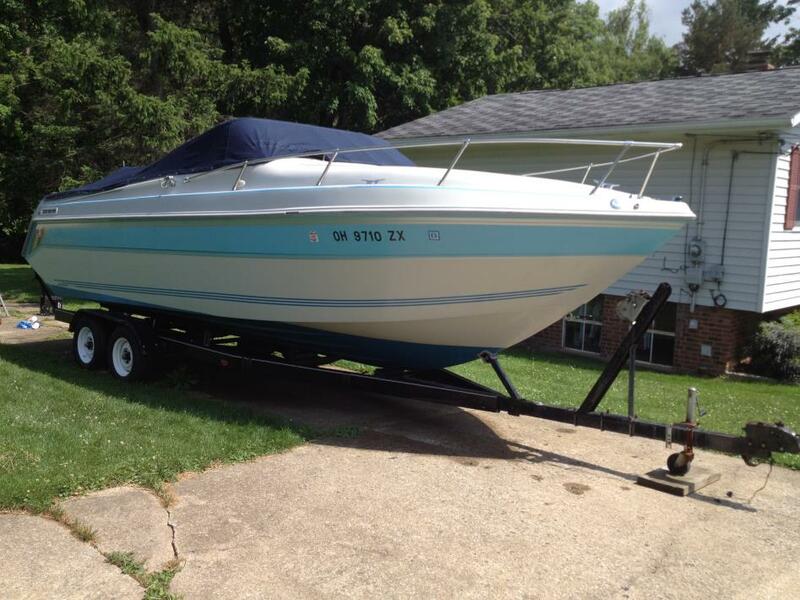 I have for sale a monterey 250 in immaculate shape. I have done my research and have not found another fresh water boat in this shape. Spring is around the corner. Get ready to spend the weekends in style. Has full galley with microwave, fridge and stove. No bottom paint. Waxed twice a year. Seats are in perfect condition. Boat has newly installed ac/heat. (To Monterey specs) Has beautiful custom eagle trailer made for monterey. Has enclosed head and sleeping for four in cabin. Has been professionally maintained and winterized. Has volvo penta 5.7 for 300 hp and dual prop. Please no low balls. No check scams and no trades. Feel free to make offer.